NEW DELHI – India is setting out on a new crackdown of tax evaders hiding their money in overseas bank accounts and neglecting their tax obligations. 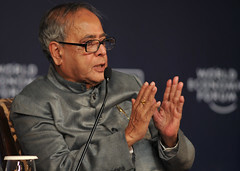 At a press conference held in New Delhi on November 1st the Finance Minister of India Pranab Mukherjee said that the Income Tax Department has begun acting on newly received information regarding Indian taxpayers with undisclosed bank accounts overseas. The Minister remained tight lipped over the source of the new information and the names of the individuals involved, and the the names of the evaders will be revealed to the public if, and when, they are brought in front of a court. According to local analysts, the new data probably contains detailed bank information of Indian taxpayers, which was passed to national tax authorities by the French government. As part of the investigation, over 700 notices are being sent out by the Directorate of Criminal Investigations to individuals who are suspected of using foreign bank accounts to evade tax obligations in India, and a majority of them hold accounts with a Geneva based branch of HSBC. According to the Minister, the new initiative will deal with cases of large scale tax evasion, cumulatively involving approximately INR 30 billion of hidden funds. Speculation is already rising over the identities of the taxpayers under investigation. Indian media sources are already claiming that several high profile members of parliament are involved, along with a number of wealthy national industrialists. The Department of Criminal Investigations expects to initiate court proceedings by the end of the year, following a completion of the investigations.